While out walking in a neighborhood by the railroad tracks last week. 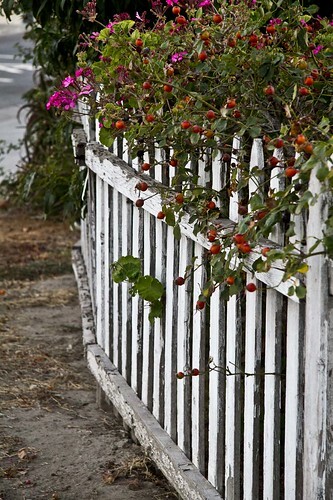 we came across a little residential section that was framed by this fence. 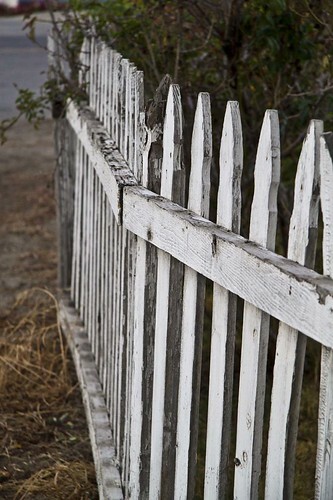 I like the lines of this fence. 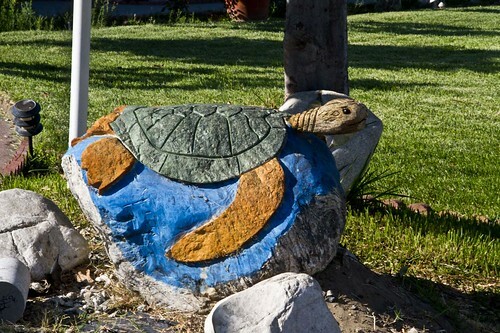 It added a homey character to the yard. 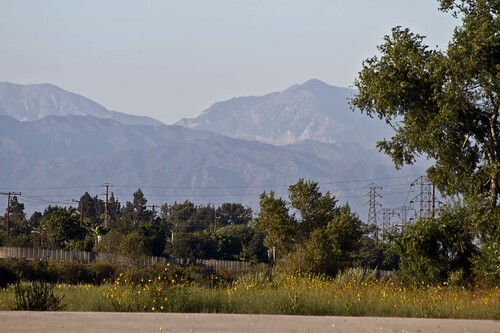 This view of Downey, with its wood fences, overhanging trees, and an old classic car, gives the impression of small-town America. 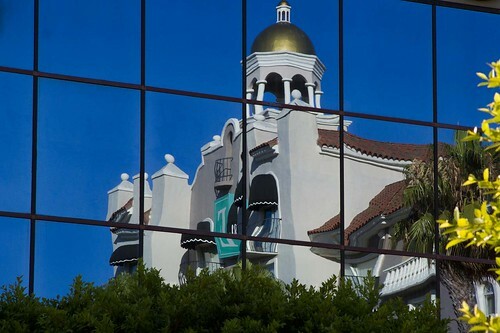 In reality, Downey is a small square of suburbia set down in the midst of the huge layer of asphalt that is greater Los Angeles. One day last week my friends went for a walk and came across a dozen Golden Retriever puppies. This seemed like a worthy Downey Daily photo op, so yesterday we walked over there ourselves. Unfortunately (for us), by now seven of the puppies have left for new homes, and only two of the remaining puppies were awake. 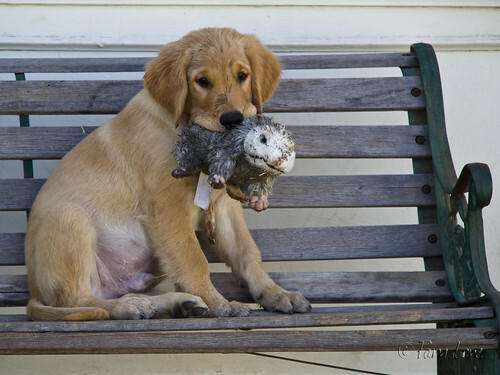 The two 8-week old puppies had a blast playing with their stuffed possum, chasing each other around the yard, and in general creating mayhem. But they were cuddly too, and so cute! Note to self: This could have been a "100 strangers" post. 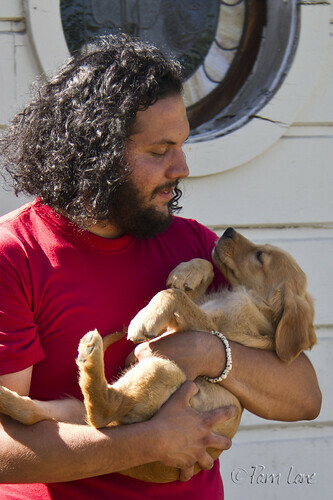 Next time, don't get so caught up in the puppies that you forget to find out the name of the very nice guy who took a few minutes out of his day to share his love for his puppies with us. 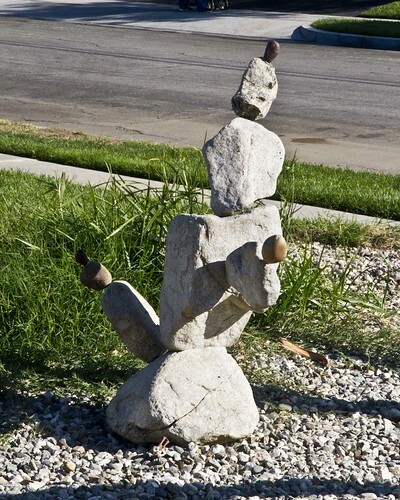 I came across Daniel Wolfert last weekend while exploring Rio San Gabriel riverbed. 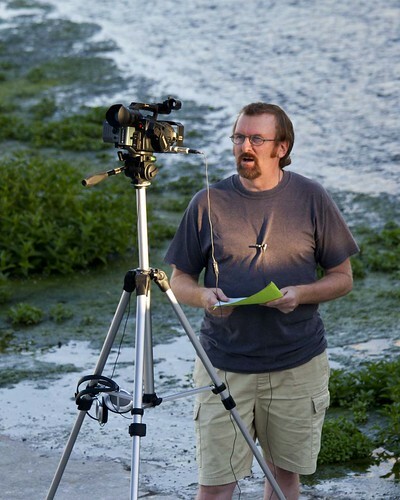 When I noticed him set up with a movie camera in the riverbed, I had to find out what he was up to. As it turns out, he was filming a trailer for his latest independent feature film, "Neptune Cowboy." We chatted briefly and he explained that film-making was his passion. He talked about "Neptune Cowboy," saying it was about love. He was very kind. He offered to give me a copy, but didn't have one with him. He did find a copy of his previous production, "Sedona Vortex Energy Exploration— Journey Into The Scientific And The Sacred ," which he gave me. He has a web site, http://www.energy-alliance.com/ which also talks about promoting responsible care of our planetary ecosystem. "Neptune Cowboy " and "Sedona Vortex Energy Exploration " are available on Amazon.com . 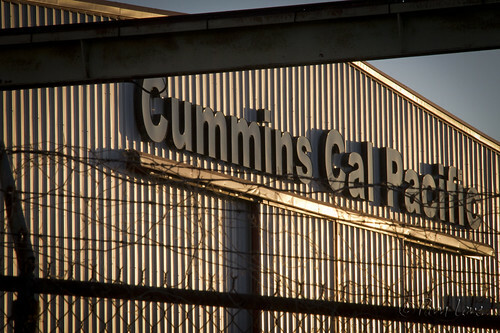 Cummins Cal Pacific is located in the industrial area of Downey along the railroad tracks. (That makes Downey sound huge, doesn't it? In reality, the industrial area is a very small section along one side of the tracks.) They have something to do with electrical power generation. I just liked how the sun lit up the building during our late evening walk last weekend. From the company's web site, "Cummins Engine Company was incorporated on February 3, 1919. William Glanton "W.G." Irwin—a successful Columbus banker-investor who supported several local entrepreneurs—supplied the starting capital. The new company’s namesake, Clessie Lyle Cummins, was a self-taught mechanic-inventor. The Irwins hired him in 1908 to drive and maintain their car, and later set him up in business as an auto mechanic. During World War I, Clessie operated a machine shop that thrived on government contracts." 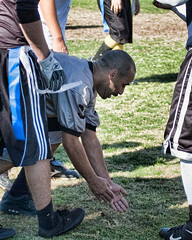 Even a friendly game of pickup football can turn ugly when the argument of "was the foot in or out of bounds?" comes up. 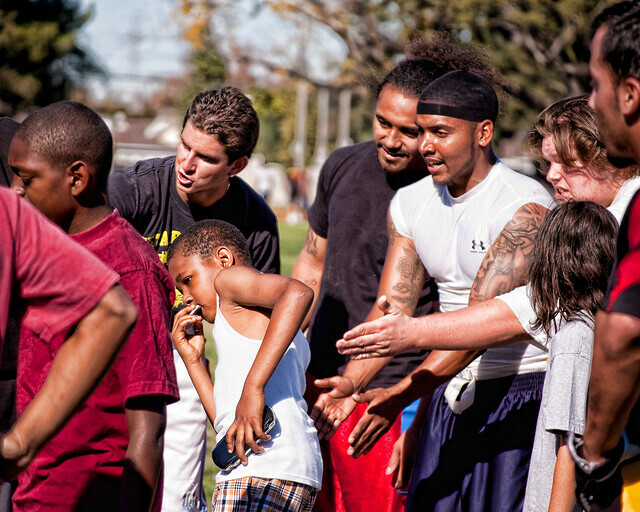 With no impartial judge to ref, both teams turn to a game of who-can-be-the-loudest. 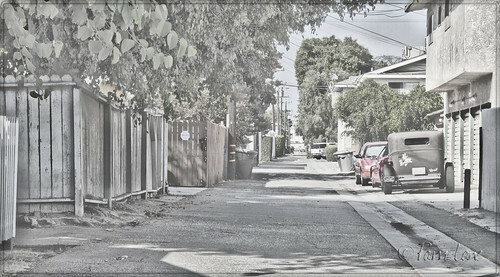 Walking the back alleys of Downey usually lands me around a railroad track, abandoned or otherwise. 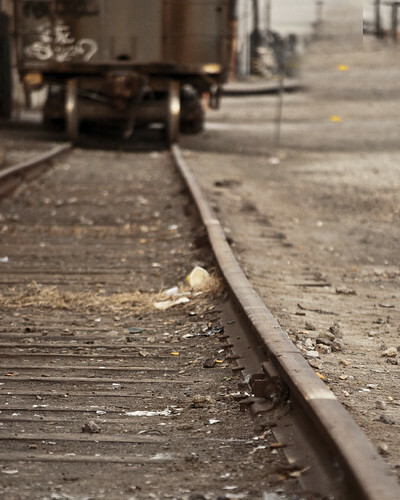 This parked train car, although surrounded with other's leftover litter, drew me in. The serenity of the area drowned out the passing traffic only a few hundred feet away. 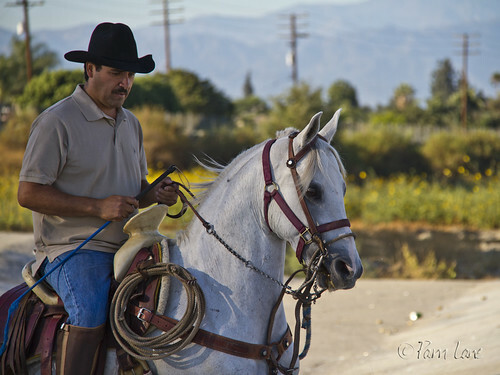 This past weekend I went exploring along the Rio San Gabriel River. 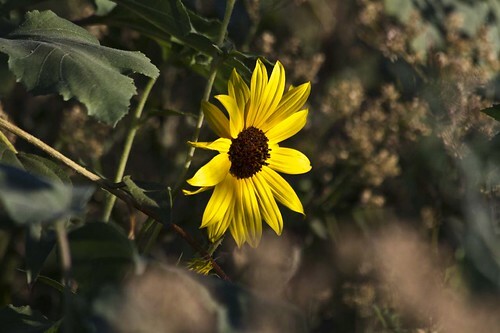 I was surprised to find all the trees, grasses, sunflowers - and a pretty nice view of the foothills. It has been fun to discover so many different areas of beauty around our city. 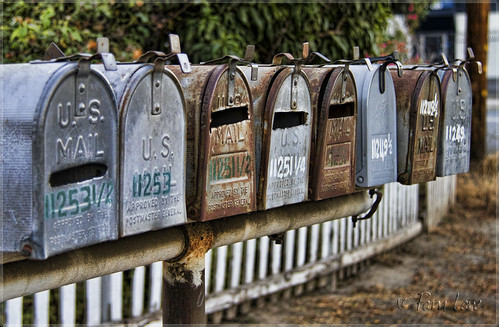 I like this row of mailboxes with its 1/2s and 1/4s. I can picture the houses sitting lined up together in much the same way on their tiny side street. 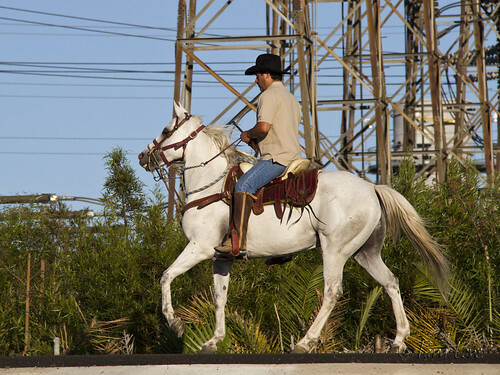 So when this horse and his rider approached us down in the San Gabriel River bed, I had to see him up close and personal. He's 3 years old and still in training. 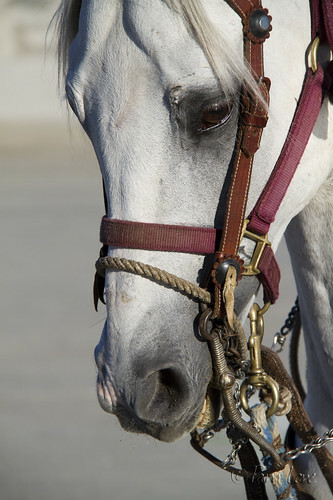 I must have had that look in my eye, because his rider generously offered to let me ride. What a treat! 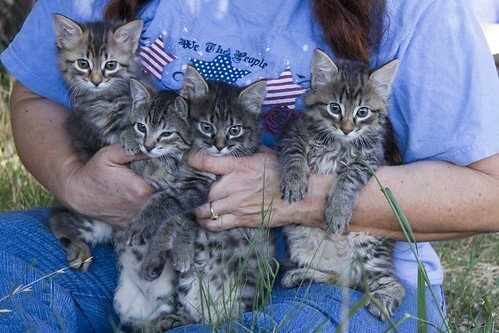 A couple of weeks ago, my friend asked me to come and take pictures of her kittens, about to go to new homes. It was a challenge to get them in one place! They were these little furry balls of energy. Finally, in desperation to get a picture with all of them together, she scooped them up and for about one second, they were in one place. Butterflies come naturally this time of year. I love the fact that chasing them brings nothing but tired legs and arms. 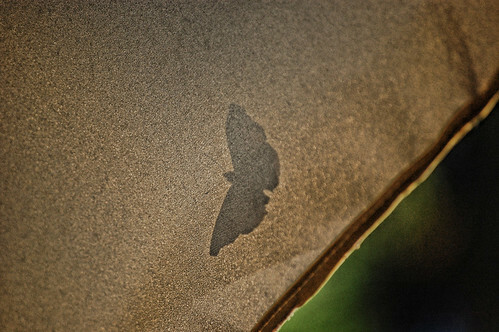 But as soon as you sit and rest a while, here he comes, fluttering on your knee. 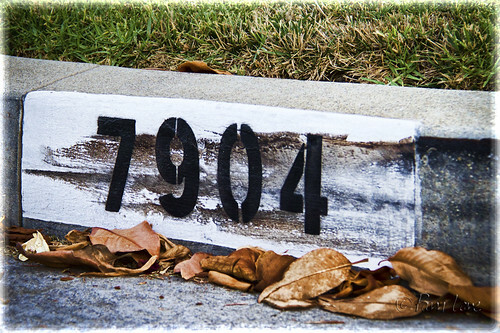 All of the Downey curbside addresses were recently repainted—fresh white paint, crisp black numbers. It didn't take long for this one to get dirty. 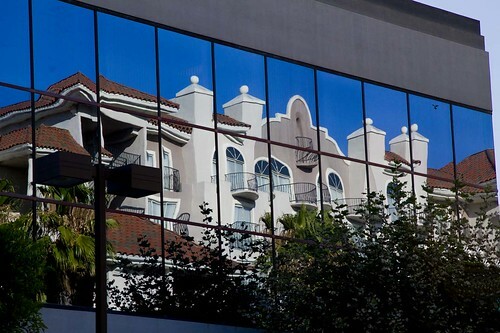 Your home, and its surroundings, define you. Your personality, your hobbies, your affiliations, your influences. 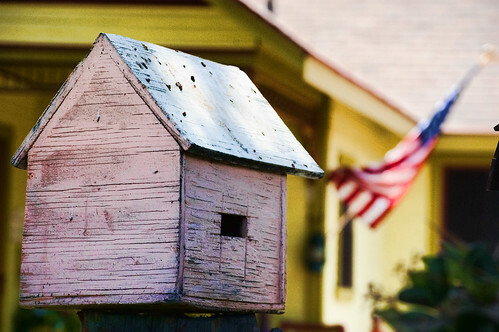 A "welcome" mat with puppy paws, a "Grandma's House" sign in the window, or a roughly but carefully built bird house all act as windows into the resident's soul. 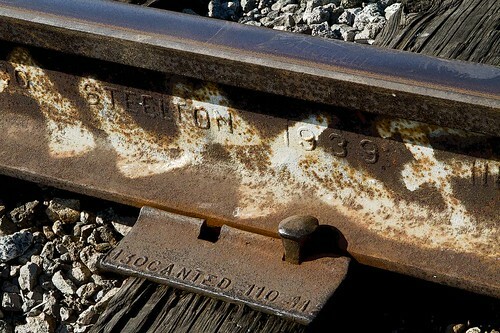 There is something about railroad tracks that intrigues me. Part of it is the wonder that something so old is still in use. 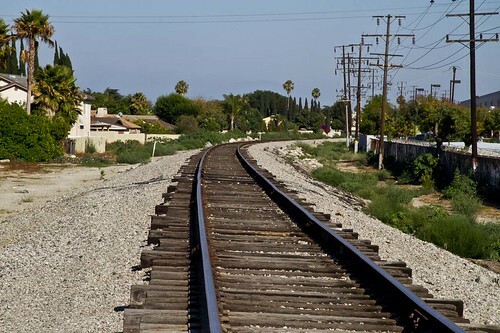 It was in 1873 that land was first set aside for a railroad station in Downey. The Southern Pacific Railroad Depot was completed in 1888 and was said to have been the finest terminal outside Los Angeles. In fact, it was once the hub of our community. 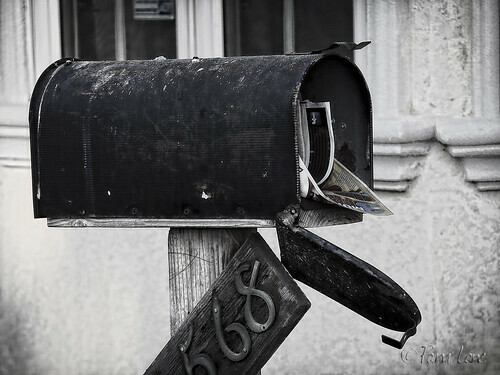 Another empty house, another mailbox full of junk mail. 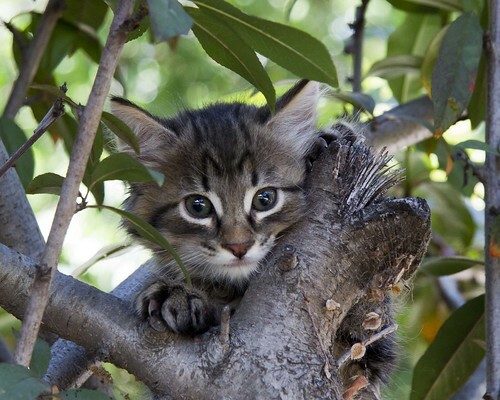 Historically, Downey was a town of orange orchards, avocado groves, and walnut trees. So it was somewhat surprising how many pomegranate trees we passed last week on Dinwiddie Street. 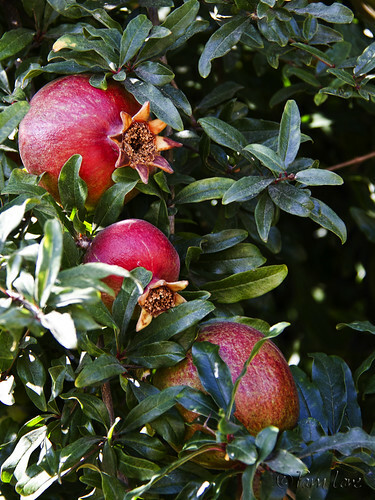 Some scholars think that it was the pomegranate that the snake used to tempt Eve in the Garden of Eden. Song of Solomon 4:3 has this to say in reference to the tempting pomegranate, "Your lips are like a scarlet thread, And your mouth is lovely. Your temples are like a slice of a pomegranate Behind your veil." Continuing on our wanderings along the Dinwiddie neighborhood, we came across a section of the neighborhood where the houses had property lines that bordered a stretch of property with those huge metal contraptions that support power lines. If your yard has to face property that has huge power structures on it, this is sure a way to make the area more appealing. This "easement" area is green with grass and full of uniquely crafted stone objects. It made the whole area charming and artsy at the same time. For me, they do the job of distracting me from the "power tower." 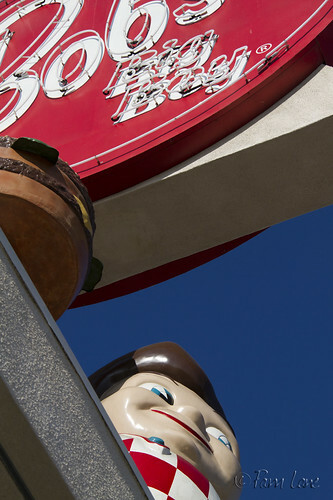 Walking back from last week's Dinwiddie walk, we approached Bob's Big Boy from the other direction. I noticed two things. First, the Big Boy is a little intimidating from this angle. He brings to mind the Stay Puft Marshmallow Man from Ghostbusters. Remember? "Well, there's something you don't see every day." 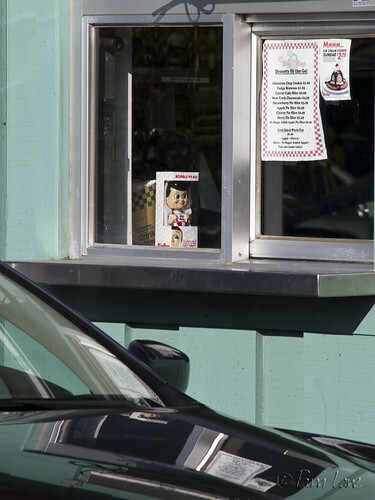 Second, Bob's has a drive-thru window. I remember noticing this when they opened, but I've never tried it, because I haven't figured out how it works. I mean, I know they can package up a dinner to go. I often order food to go. But this isn't fast food—they always tell you it'll be ready in 20-30 minutes. So what do you and all the others do after you place your order into the Bob's Big Boy speaker? Do you all wait in line for the next 20 minutes? And what if you get behind the guy who ordered that dinner that takes forever? I guess I'll have to try it out soon and find out. And get a bobble-head too. Here I go again; taking pictures of things from before my years on this earth. There is something about seeing something so obviously pre-dating my existence that makes me appreciate my time more. 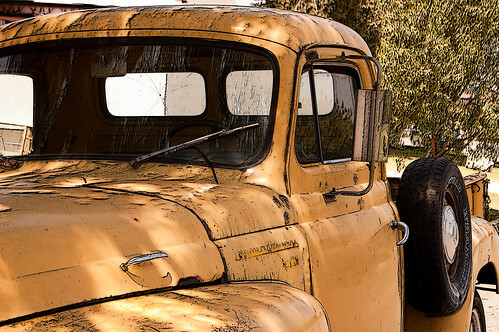 Along one of the many streets we rode this morning during our bike ride, I saw this old pickup truck. One that most people love to see others driving but would hate the maintenance themselves. 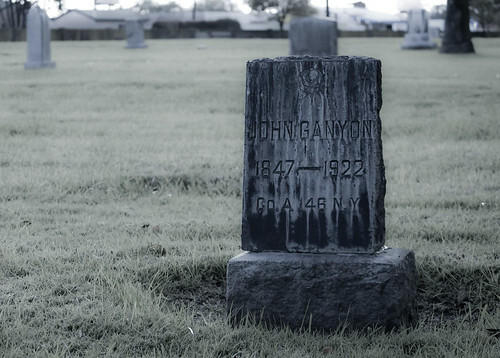 Revisiting the Cemetery, getting ready for a different photo shoot, I came across this grave stone. All the stones are cold and lonely but this one somehow stood out to me. I wanted to bring flowers or something. Being there just makes me want to know his story. It makes me curious of the life he had in my town a century before I was around. I can't remember the last time I ran across a kid's lemonade stand. But, on our way back from exploring the railroad tracks last Sunday, we came across this group of kids in their front yard selling lemonade and ice tea. 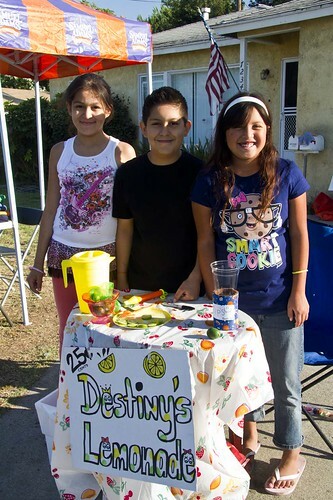 Although they were all helping, it was clearly Destiny's lemonade stand. The stand was colorful and well stocked. I was even offered a fresh lemon slice for my tea. Destiny (on the right) was excited about the money she had made. Already a budding sales girl, she went out of her way to invite us back. Evidently, this is a semi-regular business...every Sunday afternoon. 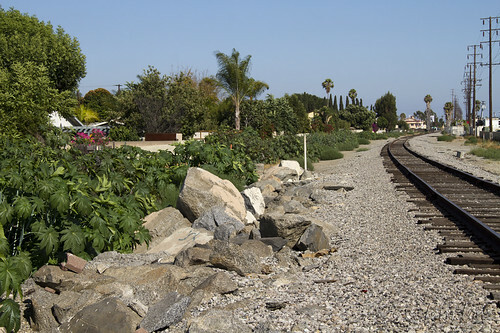 For the most part, the path along the train tracks through Downey is dry and dusty. Then there's this little section behind Dinwiddie Street. I've never seen this section before—there's no road that goes beside it, no destination at the end. Suddenly there are all these rocks, like the remains of some past construction. There's no indication where they came from, no hint of previous retaining walls or bridges. Just a sudden spate of rocks. And all along the rocks, these big leafy plants grow wild. 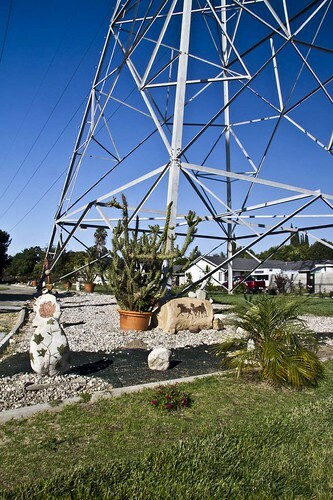 Clearly the plants are drought-tolerant, since there's no water along here. It almost looks like it's been professionally landscaped. What a shame it's wasted on freight instead of tourists. Joan and I took a walk this afternoon down the railroad tracks behind Dinwiddie Street, then back up Dinwiddie itself. Dinwiddie is an unusual sort of neighborhood. All of the lots are several hundred feet deep, but very narrow. Some of the houses on the street were built in the early 1900s, some in the early 2000s. Now I have too many pictures for a single day, so I guess this is the start of a Dinwiddie series. 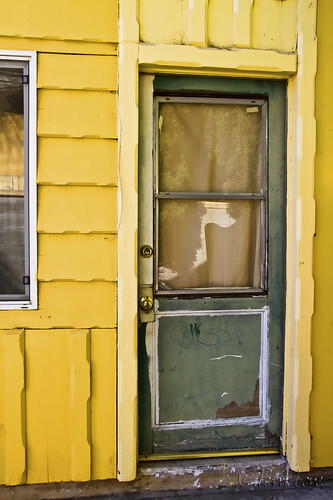 I like the look of this run-down door set against the bright yellow house. I love old cars. 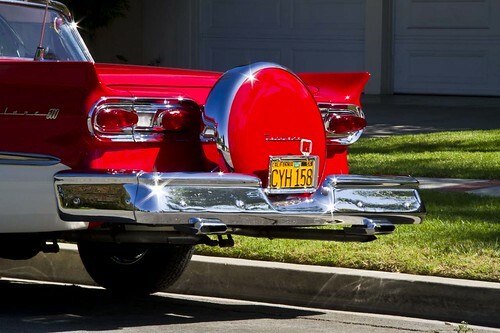 There is something magical about cars as old as this one, that look so shiny and cared for. I also really like the way the sun reflects the "star-bursts" in so many places. 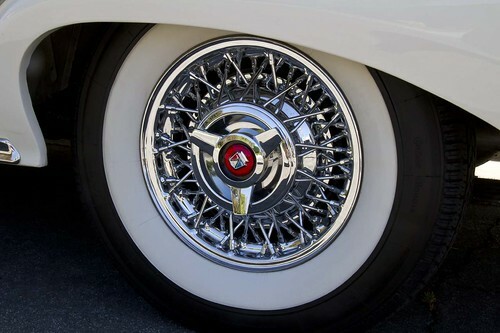 The Ford Fairlane, produced from 1955 to 1971, began as a premiere full-size car with curvy lines and a distinctive stainless steel stripe on the side. Later on the Fairlane name was used for mid-size Ford models, and even for a drag-strip racer type car in the mid 1960s. I have no idea the age of this car. 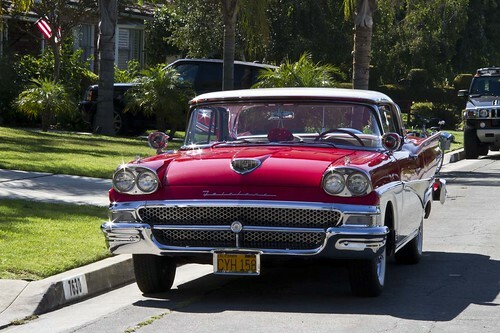 Looking at one of the car club websites, my best guess for this car would be 1958. If anyone knows for sure, let me know. 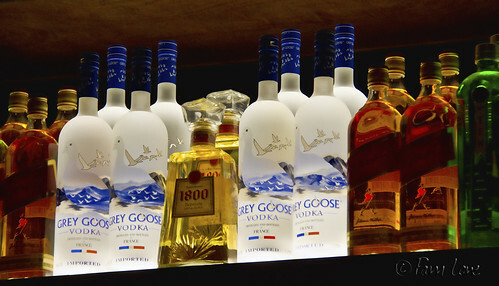 A few weeks ago, I had dinner at BJ's in Stonewood and I noticed the wall of bottles behind the bar. So tonight I went back to get a closeup view. All those duplicate bottles—it must leave people wondering just how much they've had to drink! 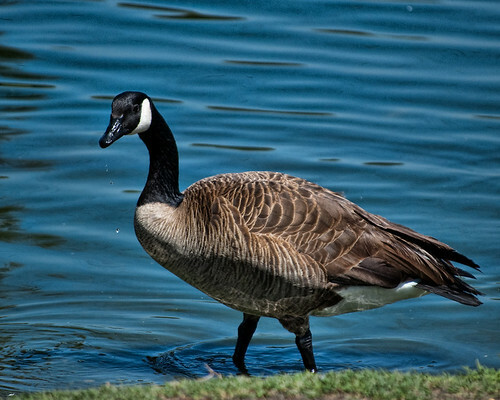 While Pam and Joan take pictures of the ducks, I am somehow always drawn to the larger swimming birds. A little more threatening I think. This one is probably three times as big as the ducks in the water and seems to dominate the scene when he is around. 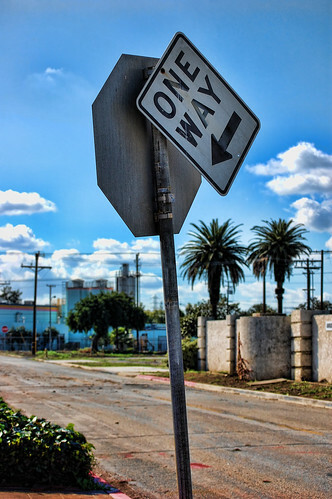 Sometimes, we need to stop and think before we follow all directions given to us. I really like mission-style feel of the building. It is appealing. 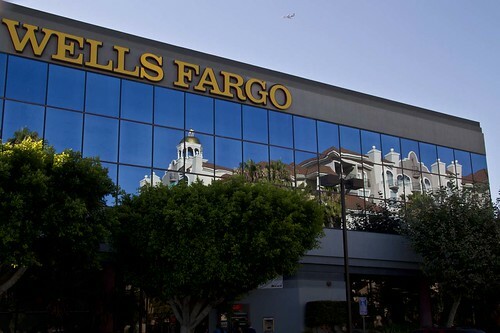 Click here to see the beautiful night time view of the entrance to the hotel from a previous post.